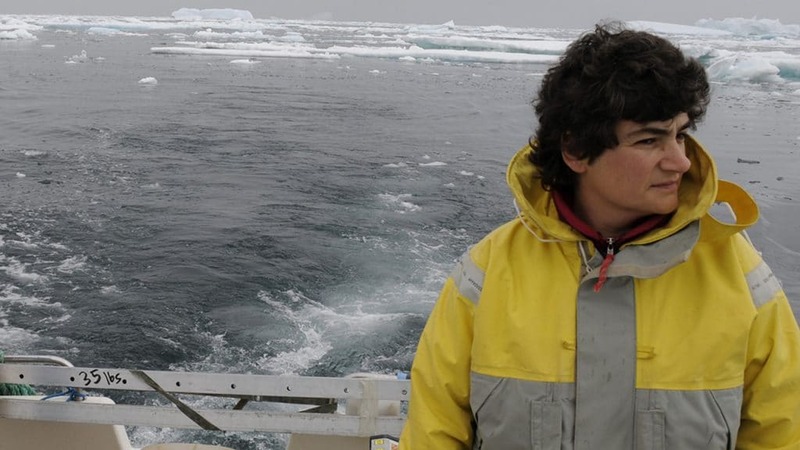 The American Geophysical Union (AGU) has chosen Fiamma Straneo, a physical oceanographer at Woods Hole Oceanographic Institution (WHOI), to deliver the Sverdrup Lecture at this year’s meeting of the Ocean Sciences section held in New Orleans from February 21-26, 2016. The lecture is one of the highest awards the section bestows on its members. Lynne Talley, president of Ocean Sciences at AGU, said Straneo was recognized for the strength of her research on ice sheet/ocean interactions and on the overturning circulation in the subpolar North Atlantic—an area of special importance for the large scale ocean circulation. Straneo’s research focuses on the role of the high latitude oceans in climate, including the interaction of the ocean with the atmosphere and the cryosphere—ice sheets, glaciers and sea-ice. 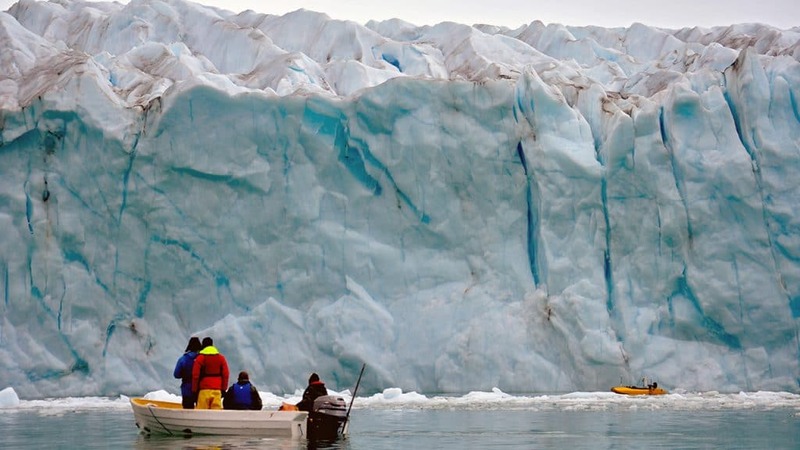 Over the past eight years, Straneo has been conducting fieldwork in Greenland where glaciers have been retreating and thinning at an accelerated pace since the mid-1990s. Her research investigates the role played by the ocean in triggering these changes as well as the impact of these changes on the ocean. 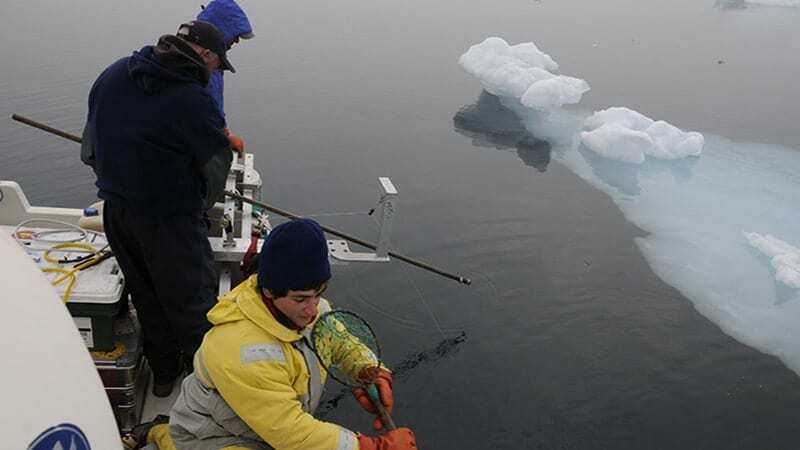 Straneo’s lecture will highlight advances in understanding the mechanisms leading to rapid ice loss based on her field observations at the edge of massive calving glaciers in Greenland, where she and her colleagues have utilized helicopters, icebreakers, fishing vessels, and autonomous vehicles to access the region’s iceberg-choked fjords. The lecture will be given on February 24, 2016, at 10:30 a.m. in the Ernest N. Morial Convention Center. The Ocean Sciences meeting, which is held every other year, attracts more than 4,000 scientists from around the globe and is sponsored by the AGU, the Association for the Sciences of Limnology and Oceanography, and the Oceanography Society. The Harald Ulrik Sverdrup Lecture honors the life and work of Sverdrup, who served as scientific director of Roald Amundsen’s polar expedition aboard the vessel Maud (1918-1925). He worked extensively on meteorology, magnetics, atmospheric electricity, physical oceanography, and tidal dynamics on the Siberian shelf. A native of Italy, Straneo completed her Laurea in Physics at the University of Milan. She received her Ph.D from the University of Washington. Straneo first came to WHOI as a postdoctoral scholar in 1999. She joined the Institution’s staff as an assistant scientist in 2002 and rose through the ranks of the Department of Physical Oceanography. She was promoted to senior scientist in 2014. In 2013, she was chosen to participate as a fellow in the prestigious Leopold Leadership program. The program provides training to outstanding academic environmental researchers to help them engage effectively with leaders in the public and private sectors to integrate science into decision-making. Straneo currently serves as co-director of GRISO (Greenland Ice Sheet-Ocean Network); co-Lead of the SEARCH (Study of Environmental Arctic Change) Land-Ice Panel and is a member of the US AMOC (Atlantic Meridional Overturning Circulation) Science Team. She was a fellow at the Bjerknes Center for Climate Research in Norway from 2002-2006.